作者: Andrei Nikolaevich Lankov on 18 December , 2013. In what can be described as the most public purge in North Korean history, Chang Song Taek– until recently the second most powerful man in North Korea – has lost his position and life. His sudden downfall has produced much speculation. Indeed, but what is the likely impact of Chang’s execution on the country’s future? These days, one can frequently see claims that Chang was a closet reformer and therefore that his sudden purge will see the revival of conservative domestic policy, and perhaps more belligerence overseas. This might be the case, but we should be careful in jumping to such conclusions. Indeed, in the last 20 years, Chang has frequently been presented in the world media as a secret reformer, but with equal frequency he has been presented as a hardliner. It is, therefore, best to remain sceptical about suggestions that his fall from grace signals a conservative shift. 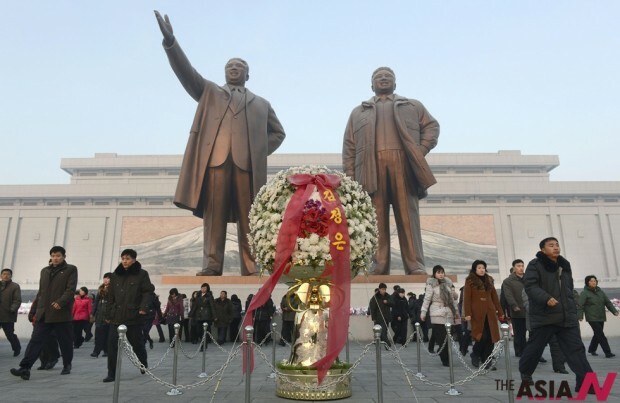 As a matter of fact, some reforms began to emerge in North Korea in the last few months, at the very time when Chang was falling out of favour. If anything, this would seemingly support the idea that Chang was not the driving force behind the changes that have begun of late in North Korea. There is even some indirect evidence supporting the idea of Chang as being rather conservative in his policy inclinations. When the North Korean government published a lengthy list of Chang’s supposed crimes, it mentioned that he had tried to “undermine the leading role of the Cabinet in economic management”. The Cabinet, since April 2013, has been presided over by Pak Pong Ju – perhaps the only North Korean top official whose pro-reformist credentials are beyond reasonable doubt. If such accusations bear any relation to reality, they seemingly indicate that Chang was not a pro-reformer but rather an anti-reformist force. We can be far more certain about the impact that Chang’s execution will have on North Korea’s relations with China. The official indictment mentioned that Chang and his clique were ‘selling the precious resources of our country at bargain prices’, this clearly indicates large-scale sales of resources to China that were indeed supervised by Chang. He was also accused of leasing out lands to unspecified ‘foreign countries’ in Rason Special economic zone – once again, a clear hint at China and, perhaps, Russia (both countries did enter such deals). Such statements are, of course, not going to be welcomed in Beijing. Things may get worse if North Korean authorities push China to reconsider existing contracts (and this is what the remarks seemingly implies). Chang’s removal might herald a minor crisis in relations with China, which have been rather uneasy since the nuclear test earlier this year. One should not expect a major crisis to erupt, however – China needs a stable Korean peninsula, and is therefore likely to continue its support for North Korea, regardless of North Korea’s domestic situation. Now one can only imagine how the very spectacular removal of Chang Song Taek will influence the people of North Korea and the domestic stability of the country in general. On the one hand, the sight of the rulers own uncle being dragged away from a secret government meeting by police might terrify North Korean officials (indeed this may have been one of Kim Jong Un’s intentions). Officials will become more fearful of the leadership and more eager to follow orders, but conversely less inclined to take initiative when necessary. The results therefore might be seemingly quite dubious, but might nonetheless strengthen the regime’s grip on power. 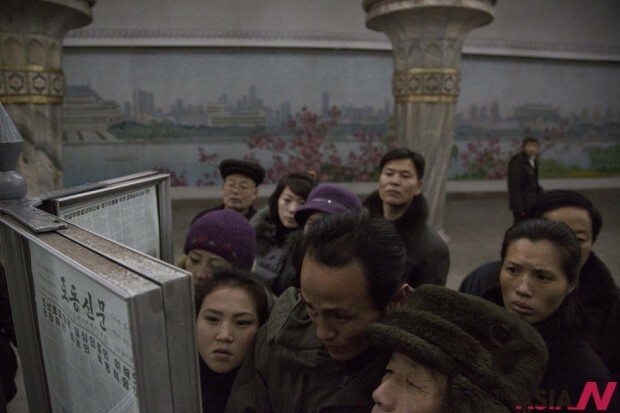 On the other hand, Chang’s purge signals a sudden break of established traditions in Pyongyang. From the early 1960s onwards, top officials in North Korea seldom faced the risk of physical extermination in case of their disgrace and arrest (this is applicable only to the top tiers of North Korea’s officialdom, lesser folks were still killed in remarkably high numbers). Typically, a disgraced high official would undergo a few months of interrogation and then would be exiled to the countryside. Little is known about what happened to such exiles, it seems that in some cases they had to do hard physical labour. More frequently however, they were seemingly given low-level managerial jobs. So a former minister would find himself in charge of a tractor repair workshop for example. Exiles were normally expected to show special zeal in political indoctrination sessions, as well as deliver lengthy confessions about their past misdeeds. Many such exiles perished in the countryside, but a rather large minority were eventually pardoned and recalled back to Pyongyang, where they resumed their duties as top dignatories of the Kim family regime. Chang Song Taek himself was exiled once – as was Choe Ryong Hae, currently, after Chang’s downfall, the most powerful of North Korean dignitaries. Such a lax attitude may have contributed toward the longevity of the regime. Top officials had little incentive to resist arrest and purge, knowing that they had a relatively good chance of returning to power, and the late night knock at the door almost never heralded his (almost never ‘her’) impending doom. Top officials were accused of relatively minor deviations and knew that if they were good at showing their enthusiasm for the leader and system, they were likely to survive the ordeal relatively unharmed. However, it seems that the tragic fate of Chang Song Taek sends top officials a completely different signal: now it seems that being purged can mean physical extermination. It means that generals, government ministers and party secretaries are much more likely to see conspiracy as an option if they believe that the alternative is an execution squad such risks suddenly become worth taking. So the tougher approach might terrify the bureaucracy into even greater docility and obedience. It might provoke however a violent resistance – which has hitherto been an irrational option. What of the impact of Chang’s purge and execution on the common people? Of course there might be some simpletons who believe that Chang was responsible for country’s economic woes. However, such ideas will remain credible for only a short time. The sight of a Kim family member being dragged away is likely to be remembered by many North Koreans. To some of them it will indicate a lack of cohesion in the top tiers of the government – and as history has shown many times, such a perceived lack of cohesion often encourages dissent and discontent. Some others may start to ask awkward questions like ‘how could the Great Leader himself let her daughter marry such a treacherous man?’ From such ideas it is easy to jump to dangerous conclusions about either the Great Leader, or about the current leader’s accusations against Chang Song Taek. It is not clear what the impact of this purge will be, but we can be certain that North Korea is changing, and much drama may be lurking just around the corner. Will China be forever content to be simply “milked” by the North Korean Regime….I suspect not where the status of the economic zones they acquired is being questioned and they are no longer able to “buy” policy compatability …..I also feel as though Chang was executed “too quickly” (indicating some perception of concerns in relation to interventions for clemency)…without any time for a discrediting show-trial!